"I must have an incredibly slow metabolism…"
"It must be my hormones…"
"'Calories in versus calories out' must be complete nonsense." OK, let's pause for a couple of seconds...one and two. Rather than get into a heated debate over these topics, let’s first agree that losing fat is not simple and easy for everyone. Fat loss is a learning experience and requires practice to get right. Let’s also agree that, while dieting is more nuanced than a simple 'calorie in versus calories out' equation, everyone still needs to be in a calorie deficit to lose weight. Right, now we've sorted that, let's get back to the topic of this blog – 'Where did my deficit go?' 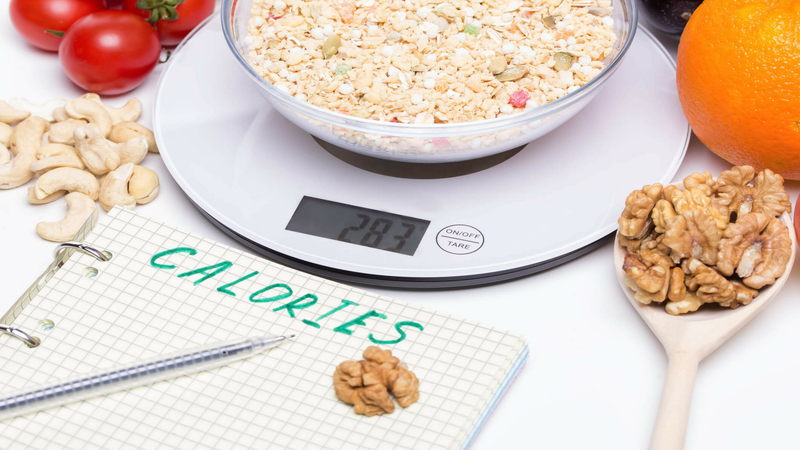 Even when we try to track what we eat, it’s easy to assume we are in a certain calorie deficit. In reality, however, the deficit is often smaller than we think or we’re even in a calorie surplus. Why is this the case? Unfortunately, there are plenty of times when extra calories can slip into our daily diets and, while each individual event may appear insignificant on its own, it all adds up. To highlight this, I’ve described an example day with lots of opportunities to consume extra calories, many of which we may forget to track. 2 slices of toast with scrambled eggs and orange juice. Not tracking or underestimating the amount of butter we spread on the toast. On average, people put around 5-10 grams of butter on a slice of bread which is around 35-70 calories (kcals). However, it’s easy to be overly generous and end up with 15 grams (105 kcals) or more. Being overzealous when adding oil/butter to the frying pan. 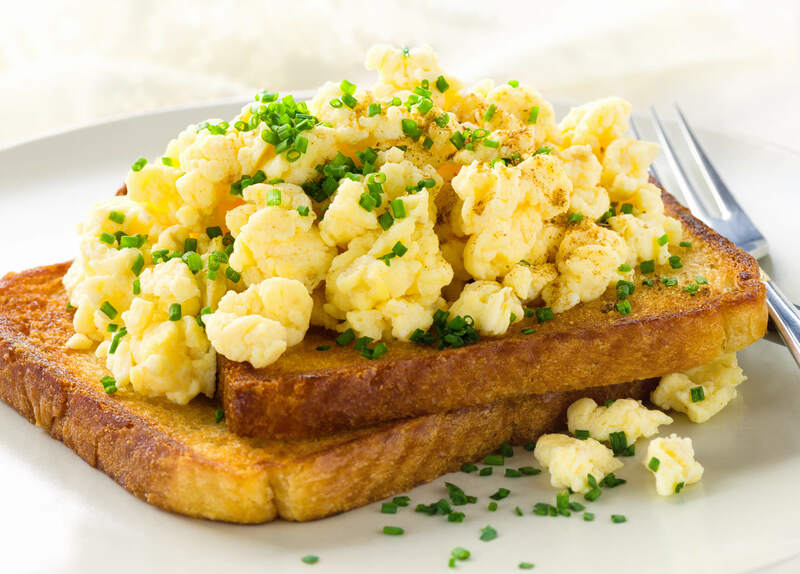 This could add easily another 60-120 kcal to your scrambled eggs. Getting our measures wrong. What we might consider to be ‘one glass’ may actually be bigger than the ‘one glass’ described on the packaging/nutritional information. For example, one serving (‘glass’) of orange juice might be 200 ml (7 US fluid ounce), but your glass might hold 300-500 ml (10-17 US fluid ounce). We tend to fill whatever glass we use, so this might end up being 150-250 kcal versus just 100. Compared to solid food, we sometimes also completely fail to track our liquid intake, especially if it is deemed a healthy drink like orange juice. Maybe you grab a grande latte on the way to the office and, just like the orange juice earlier, you fail to track the calories. It's just a coffee, what difference will it make? Well, if it’s made from 2% fat (or semi-skimmed) milk, that’s around 180-190 kcals. Soy milk isn't a great deal better, coming in at around 150 kcals in the UK (closer to 190 kcals in the US). Maybe you prefer tea to coffee and add just a dash of milk. You think this is a trivial amount, so you don't track it. But just how big is your dash? One Australian study showed that the average was around 30 ml (1 US fl oz), but this varied from 5-80 ml (0.15-2.7 US fl ozs). That’s a calorie range from 2.5 to 40 kcals for 2% fat (semi-skimmed) milk. Furthermore, the average person drinks 2-3 cups of tea or coffee a day. If you like a lot of milk, this could easily add up to a 100 extra calories. 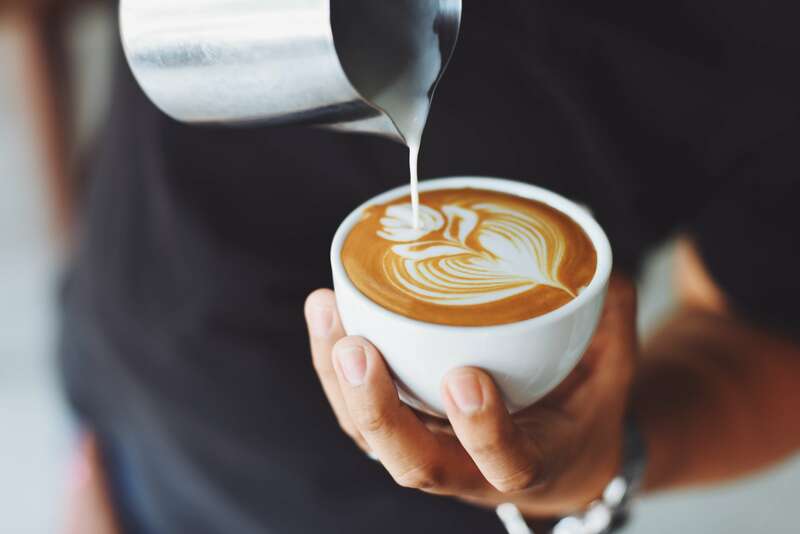 If you get your coffee from a coffee shop, this could be a few hundred extra calories, as coffee shops have a tendency to add higher quantities of milk. Have you walked by the cookie jar and helped yourself to a cookie? They’re hard to resist, especially if they're near the coffee/tea making facilities at work. Plus, they’re only small, right? 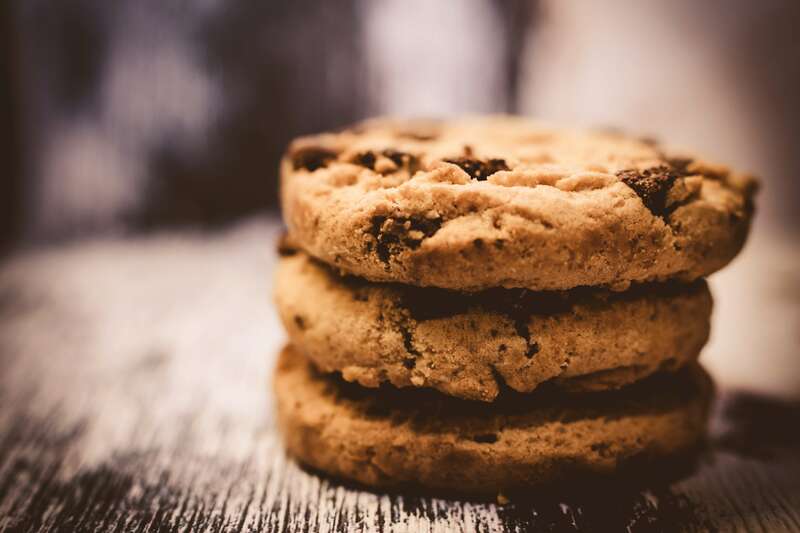 Actually, depending on the size and ingredients, each cookie could be around 50-100 extra calories. Consume a couple more during the day and this could add another few hundred calories to your daily intake. As well as underestimating the amount of calories you eat, another common mistake is to overestimate the amount of calories you burn during your workout. 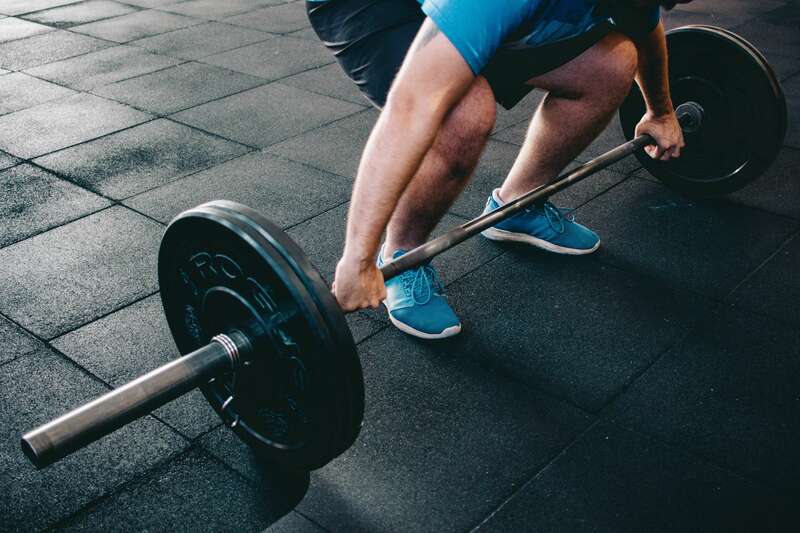 If resistance training is your go-to exercise, then you might be disappointed to hear that it doesn’t burn a a very large number of calories. A 155 lb (70 kg) person doing resistance exercise for 60 minutes at moderate intensity would burn 210-240 calories. By contrast, the same person running for 30 minutes at 6 mph (a 10-minute per mile pace) would burn roughly 290-310 calories i.e more calories and in half the time. Unfortunately, many of us often overestimate both the calories we burn in the gym as well as the level of intensity they are working at. This is especially true if you've just been lifting the same weight for weeks/months. Your body needs to be continuously challenged to maintain a certain level of intensity. A 100 lb (45 kg) barbell squat might be difficult when you first start out, but after a few weeks/months it will become much easier and the intensity drops. If all you do is lift weights, then either add 15-30 minutes of extra cardio to your workouts or eat a little less to create a further calorie deficit. Please don't take this as dismissing the importance of resistance exercise/strength training/ weights. 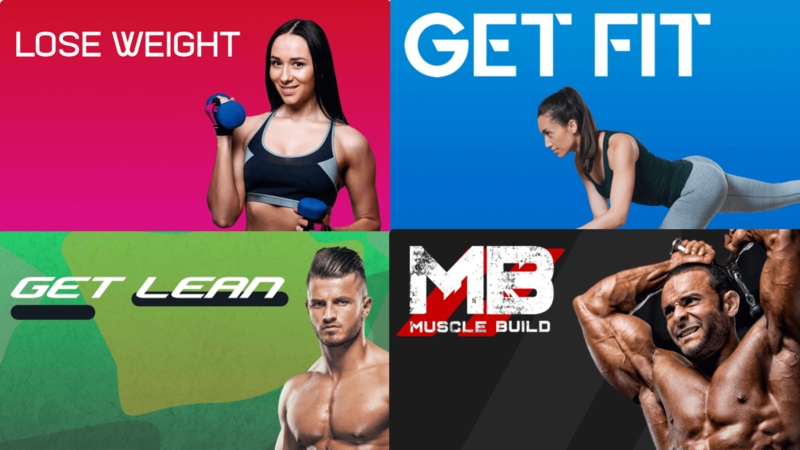 Although it may not be the greatest tool for creating a significant calorie deficit, such training causes lots of other adaptations which will aid fat loss, such as greater muscle mass and increased metabolic rate. A protein shake is a great choice after a hard workout. But how meticulously do you measure out your protein powder? Is one scoop a level, rounded or heaped scoop? 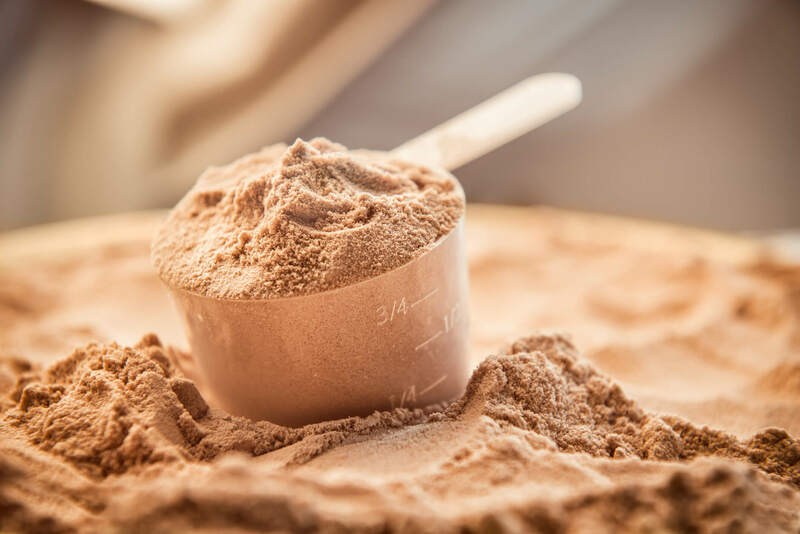 Different brands of protein powder have different instructions, but the difference between a rounded and heaped scoop is often subjective. It’s quite easy to add an extra 20-40% of powder, which could be around 20-50 surplus calories. Again, this may not sound that much, but if you have 2 scoops or more a day, this quickly becomes 40-100 extra calories. You may even mix your powder with milk and forget to track this! 250-300 ml of 2% fat milk is 120-150 calories. Chicken salad with cheese and dressing. This meal sounds healthy, but how many extra calories can sneak in if we're not careful? Skin on meat. Maybe the chicken was left over from a Sunday roast and still has the skin on. Depending on the size of the serving, the skin could add an extra 30-50 calories. The cooking method also matters. Using oil to cook the chicken adds roughly another 120 calories per tablespoon of oil used. Calorific dressings. Maybe you've added a dressing or mayonnaise to your salad? We often neglect to measure dressings and sauces, tending to ‘eyeball’ the amount instead. 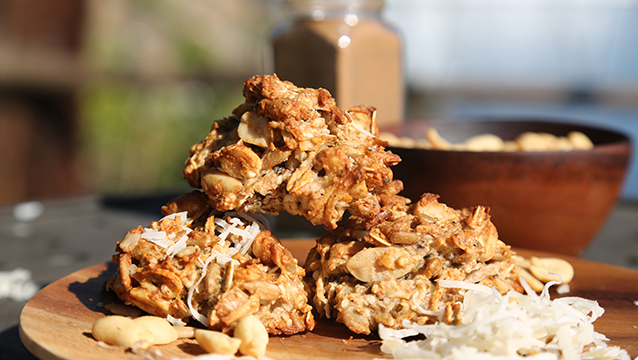 A serving is usually around a tablespoon or 14-18 grams (0.5-0.6 ounces) and normally contains 40-100 kcals. Added cheese. It's hard not to be generous when adding cheese. 10 grams adds around 40 calories and is something we often underestimate: 10 grams could easily become 20 or 30 grams or even more. It's a work colleague’s birthday and that means cake, after-work drinks and dining out. But, what does this mean for your (attempted) calorie deficit? Cake. While it is technically possible to turn down a piece of cake, it is much easier to give in to temptation. Even a small slice could be 80-100 calories. Alcoholic drinks. We often forget to track drinks in general or underestimate their caloric content. This is especially true when it comes to alcoholic drinks. 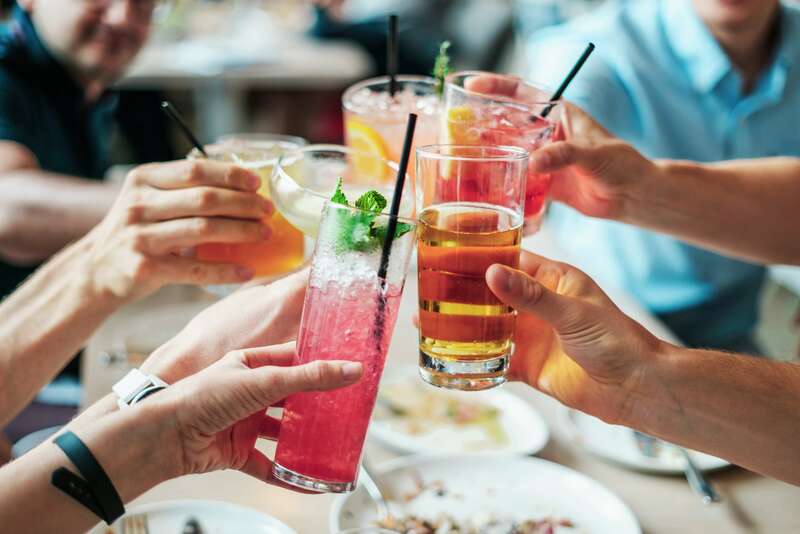 The short term cognitive effects of drinking alcohol also make us more likely to forget to monitor our intake or lead to us making poorer food choices! A large glass or pint of larger/ale/cider can be 150-220 kcals each. A glass of wine (175 ml or 6 US fluid ounces) could be around 130 kcals. Spirits such as gin, vodka or whiskey can be less calorific, with a single measure around 60-80 calories. In many places, bar staff are generous and a ‘single measure’ will end up being closer to a one and a half measure. Mixers also need to be considered, as they can easily double the calories if they are not sugar free. Cocktails are also calorific drinks. A Margarita or Mojito are around 130 calories while a Long Island Ice Tea or a Cosmo contain about 220 calories. Dining out. While many restaurants are getting better at providing nutritional information for their meals, they often underestimate the number of calories. This isn't some fiendish plan to trick the calorie conscious into eating extra. It is more likely due to the same reason we unknowingly add extra calories to our own food: chefs can be quite liberal when adding the ingredients. Understandably, they often care more about how the food tastes than rigidly following a calorie and portion controlled recipe. One study found that 1 in 5 meals at restaurants could underestimate the calories by at least 100 calories. Still craving something to eat when you get home? You have some nuts in the cupboard and nuts are healthy, right? 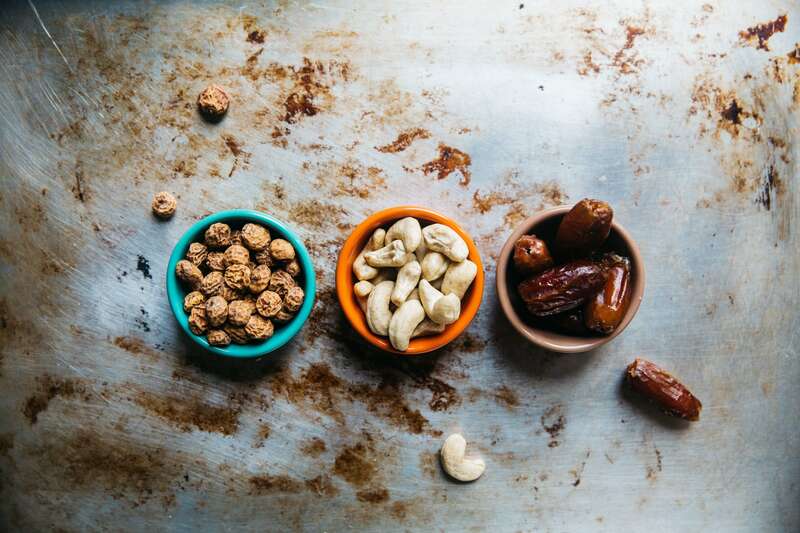 A handful of nuts (about 28 grams or ¼ cup) could be 150-200 calories, but it is very easy to eat straight out of the packet and lose track of how much we are eating. We sometimes call this ‘mindless eating’. You should also consider the "halo-effect" when consuming foods that are deemed 'healthy'. 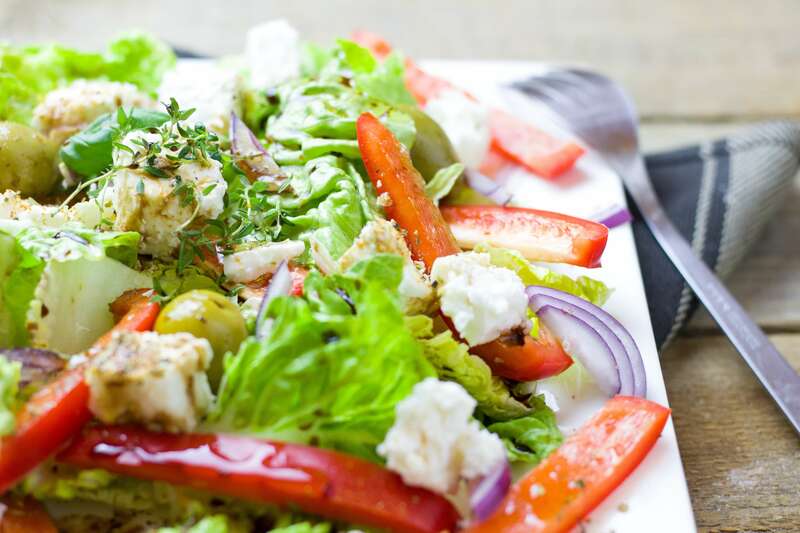 People often believe that healthy foods must be low calorie and therefore fine to consume in larger portions. Unfortunately, while it’s true that some healthy foods contain good helpings of fiber, protein, healthy fats and micronutrients, they can nevertheless be quite calorific. Nuts are a prime example. A handful of cashew nuts is around 150 calories, while a large 400-500 g (14-18 ounce) packet would be a whopping 2100-2700 calories. A packed day has come to an end. Let's take a look at how many extra calories we've consumed and the effect of this on a 1000 calorie deficit. As the above table shows, our 1,000 calorie deficit has been completely wiped out and those hidden calories have actually taken us into a calorie surplus. It's worth bearing in mind that a 1,000 calorie deficit is very large and many of us should instead aim for a smaller deficit (e.g. 400-800 kcal). Nevertheless, this (somewhat extreme) example day highlights how easily extra calories can sneak in. If you're struggling to lose weight and you're not tracking what you eat, then it's time to begin! If you are tracking and are still struggling, then you need to think about whether you commit any of the errors mentioned in this blog. How meticulous and accurate are you when tracking your food and drink intake? Everything that passes your lips needs measuring, tracking and accounting for. Admittedly, this is not much fun, and can be laborious. The objective is not to create a bad or unhealthy relationship with food, but to gain a better understanding of where your calories are coming from as well as the nutritional content of food. It is a life skill we all should learn and, just like riding a bike, it will become easier with practice. Eventually you'll be able to remove the training wheels. You will not need to measure everything forever. What you drink - especially juices, the milk added to hot drinks and alcoholic beverages.